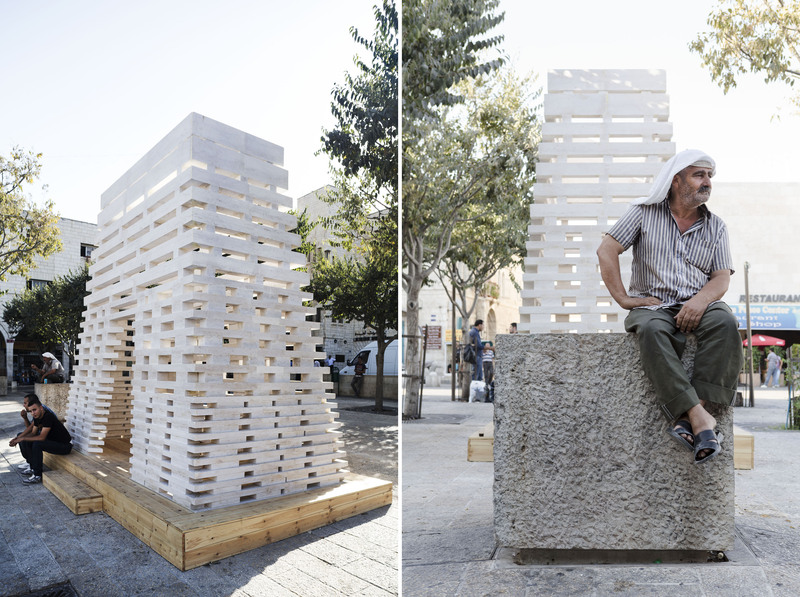 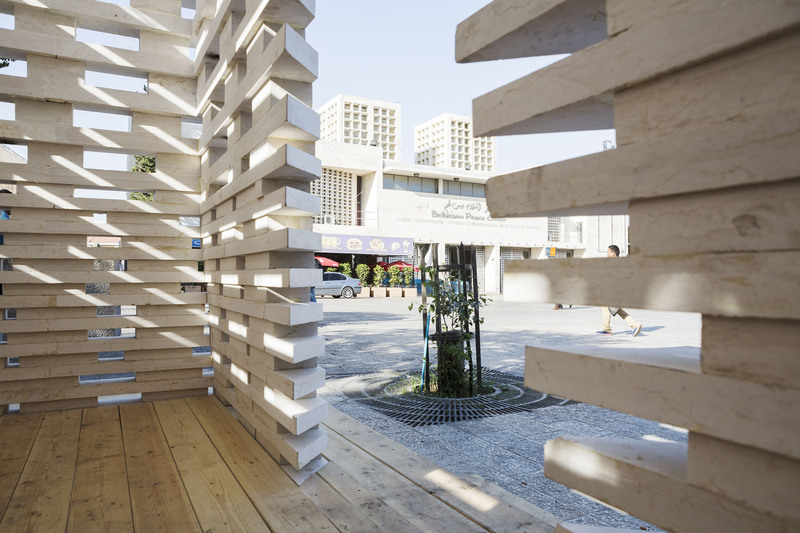 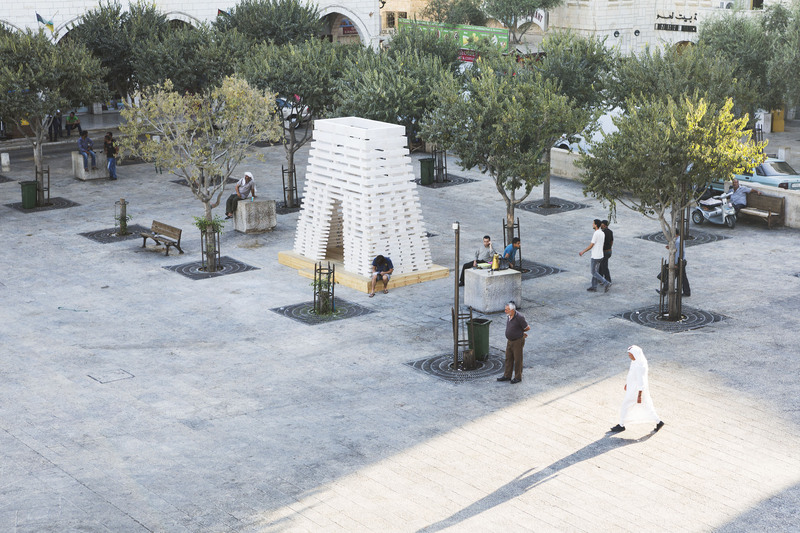 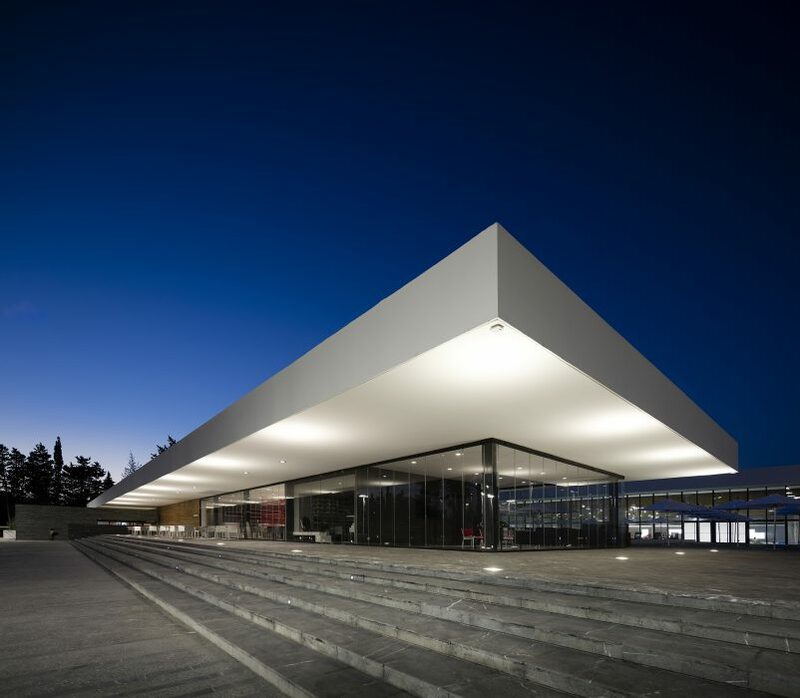 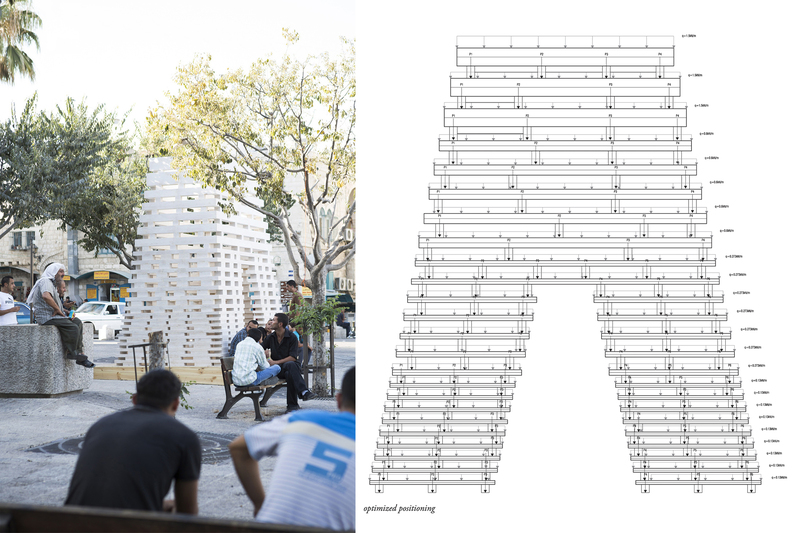 A Stone Pavillion which adapts traditional techniques to the imperatives of resistance within the framework of the Palestinian public space. 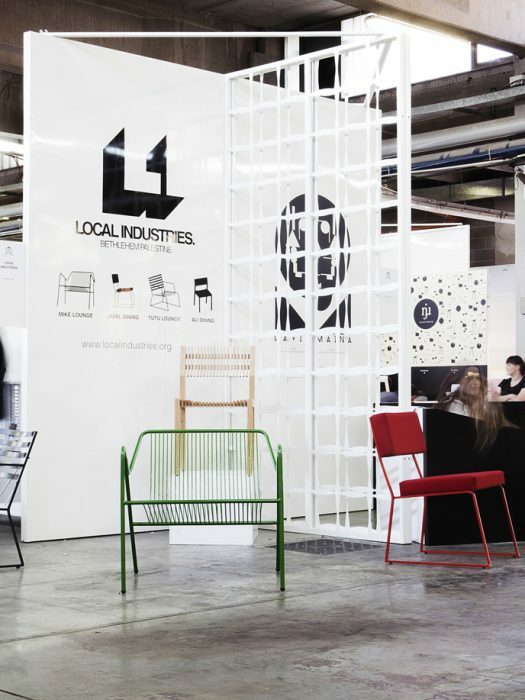 HKZ featured The Stonesourcing space earlier as a concept. 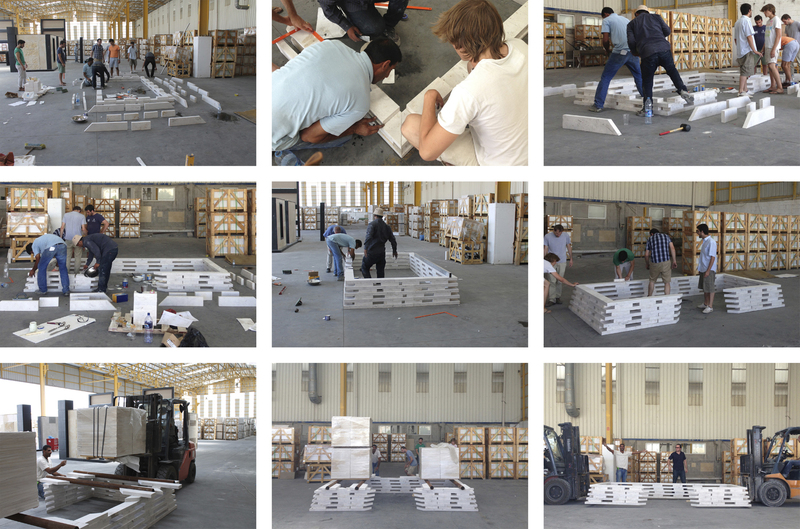 AAU ANASTAS raised funds to support the realization of the project. 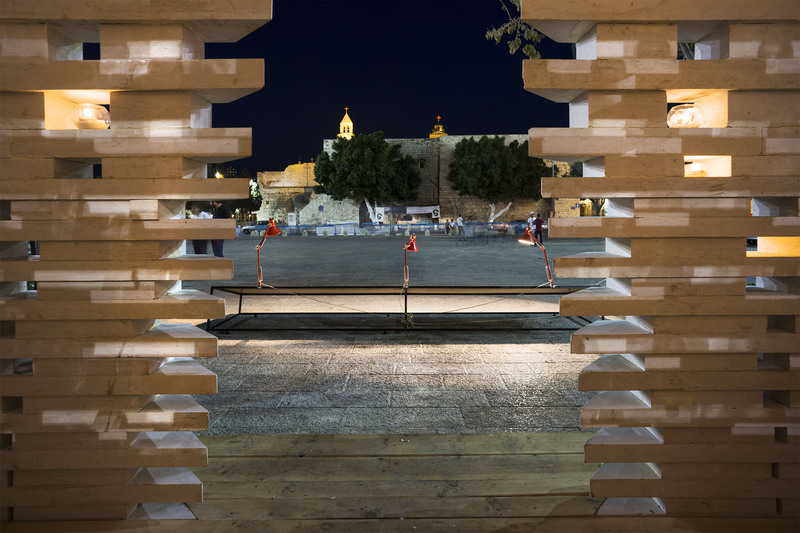 On Monday, September 9th 2013 – AAU ANASTAS along with the people of Bethlehem celebrated The Stonesourcing space inauguration at 7.00 pm at the nativity square. 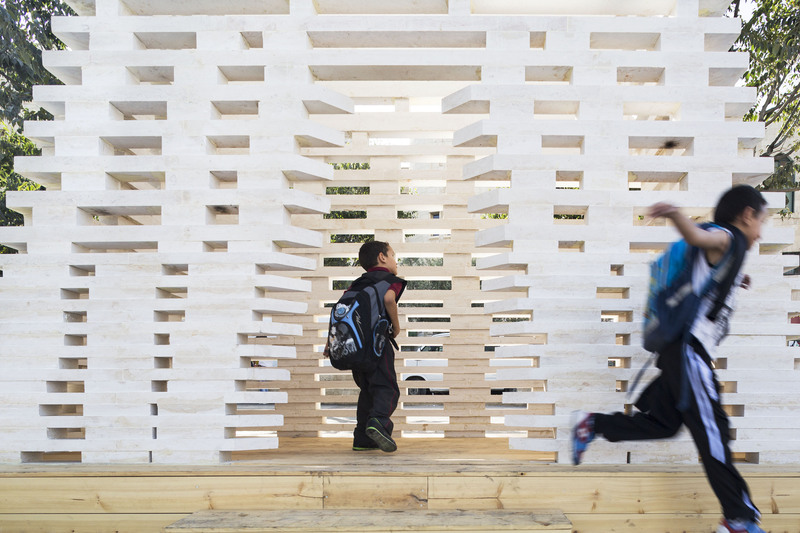 Much like the building itself, it wasn’t so much a formal “inauguration” as it was an opportunity to discover the pavilion, have a chat, look around – in a word -, an opportunity that is exactly what the pavilion is for: bringing people into the public space. 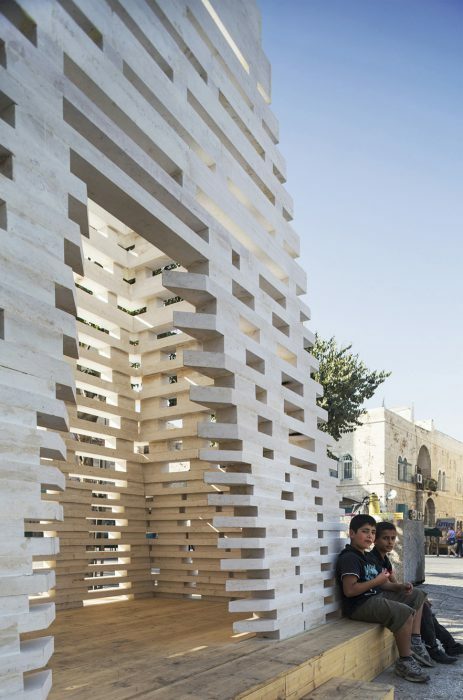 The inauguration took place in the presence of the mayor of the city of Bethlehem, the Palestinian culture Minister, Bethlehem’s governor, the French cultural attaché, the president of the engineers association, engineers, architects, stone artisans and many curious citizens. 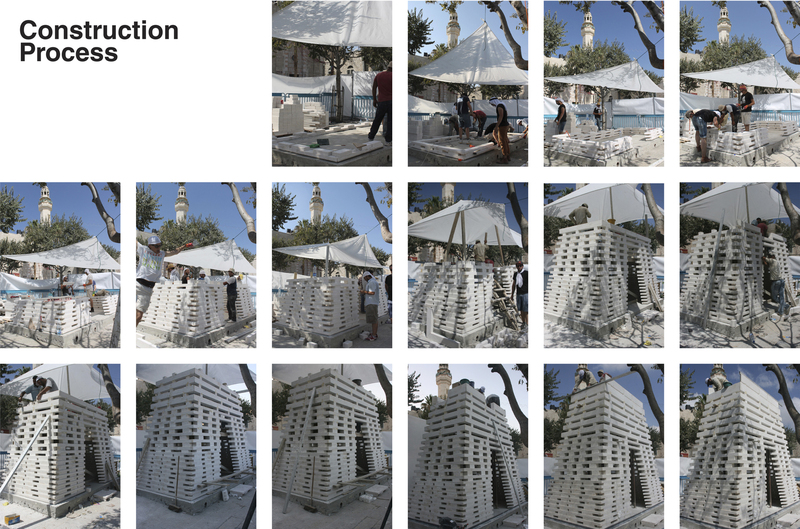 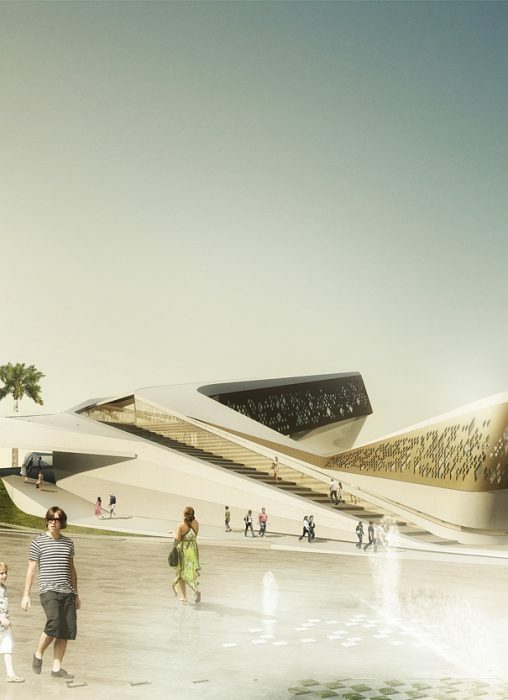 Yousef Anastas – project architect – shared with us photos and details about the making of and the final outcome of the project. 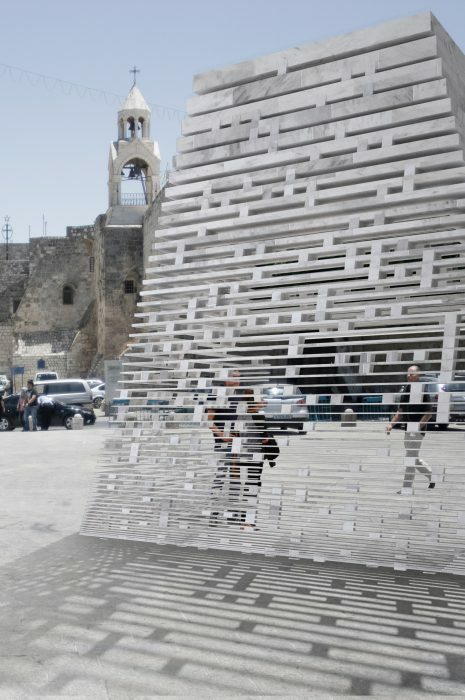 As a place where expression, debate, innovation are possible, public space is both the locus of counter-powers and the necessary binder of the state. 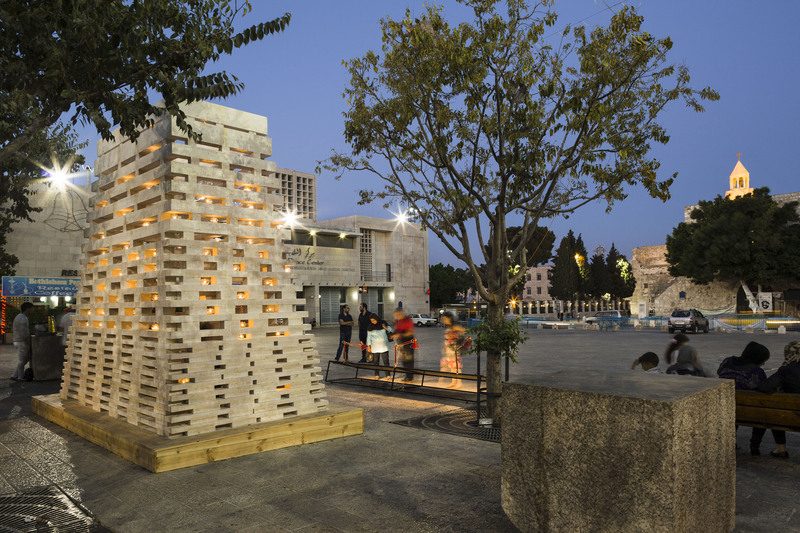 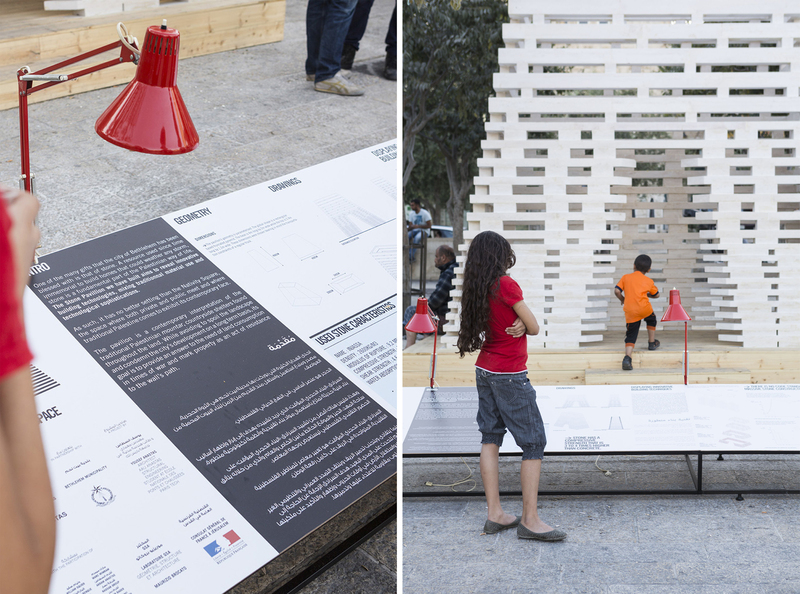 Under such circumstances, the pavilion invests the public square as an installation and aims to reinvigorate the use of the nativity square. 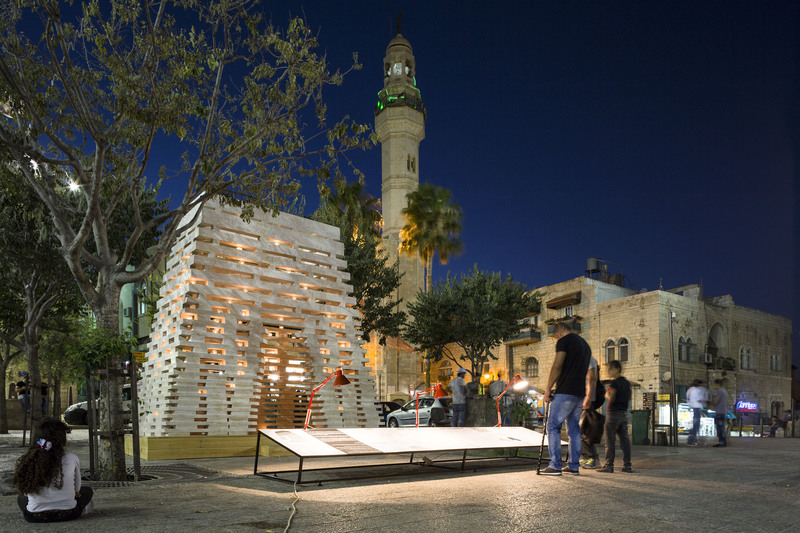 The pavilion is a contemporary interpretation of the traditional Palestinian Mountar, countryside shelters found throughout the land. 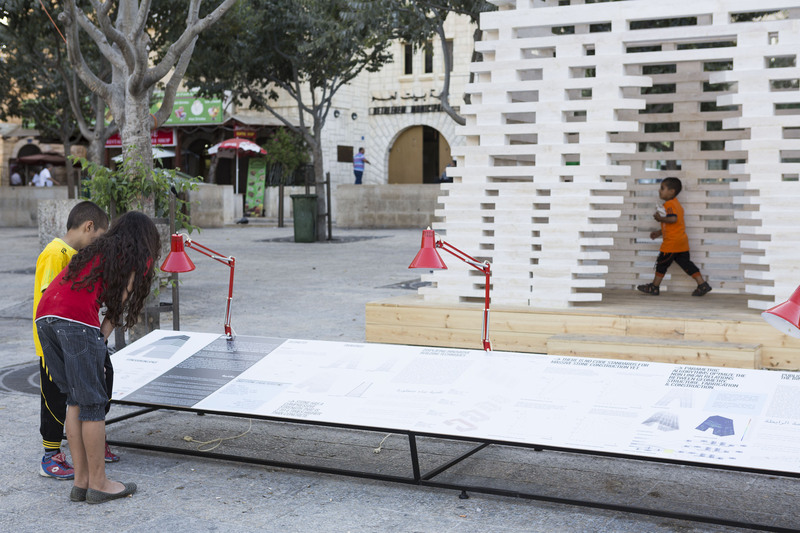 While avoiding spoiling the landscape and condemning the city’s development on a long term basis, its goal is to provide an answer to the need of land consumption in times of war and mark property as an act of resistance to the wall’s path. 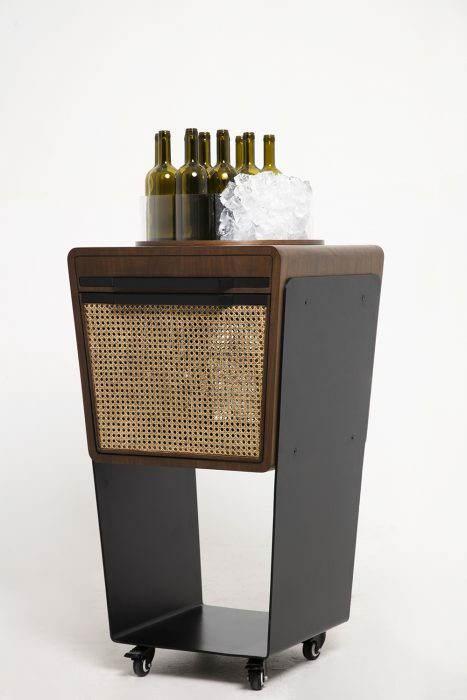 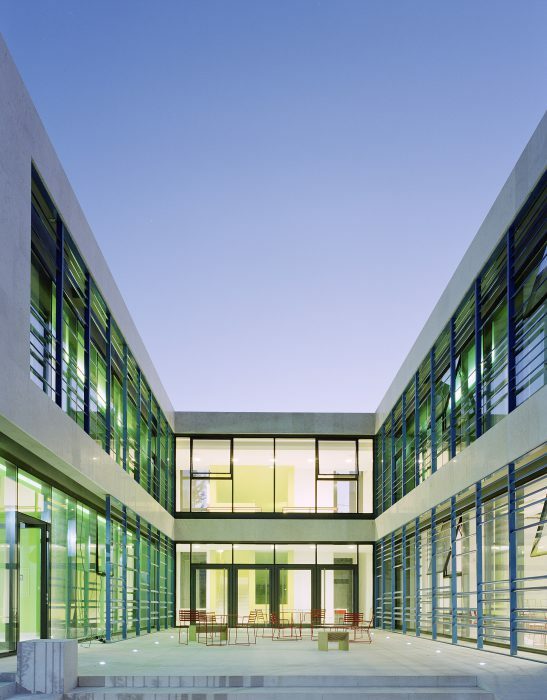 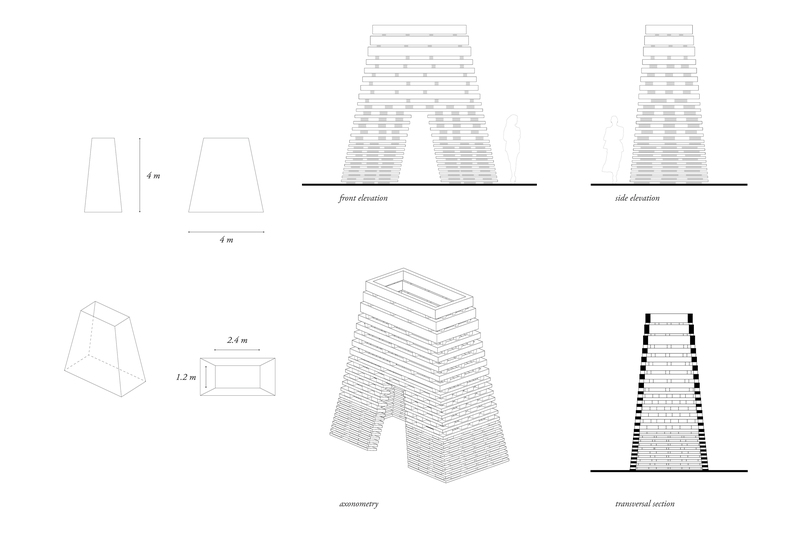 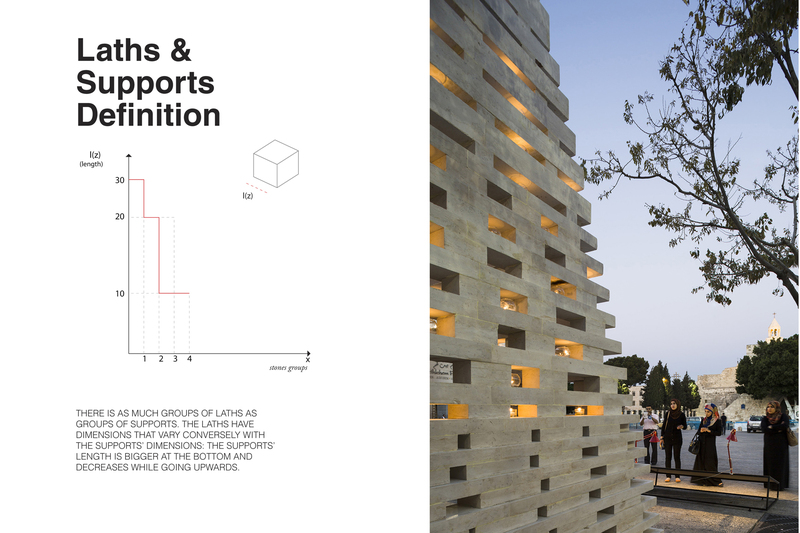 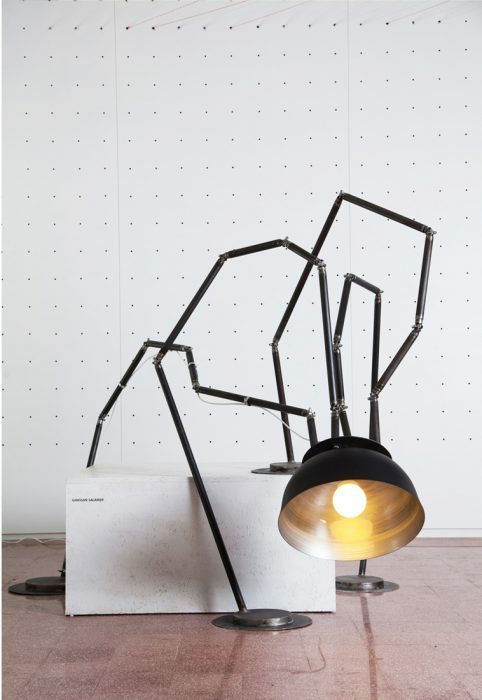 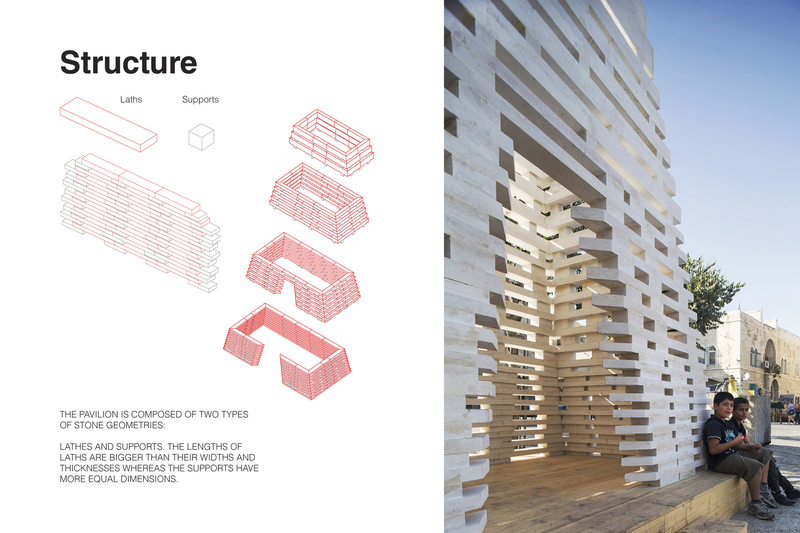 Parametric algorithms optimize the non linear relations between geometry, struc­ture, fabrication & construction. 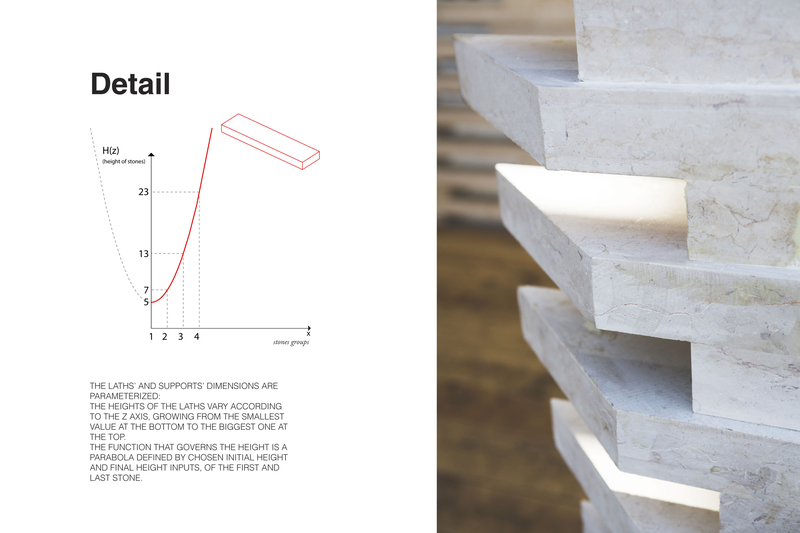 The vertical supports shift variably between each row, taking into consideration the span between two supports, applied vertical force and stone section. 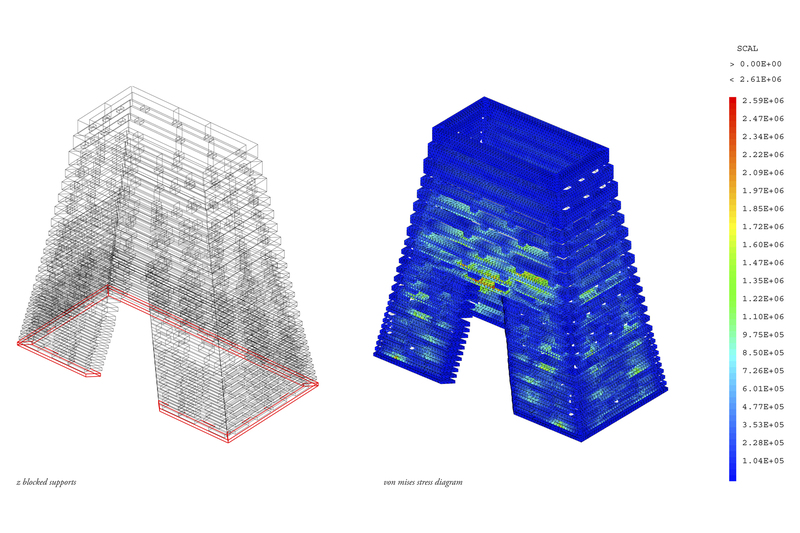 Testing acceptable constraints in flexion and in shear, we find an acceptable eccentricity that varies with each row. 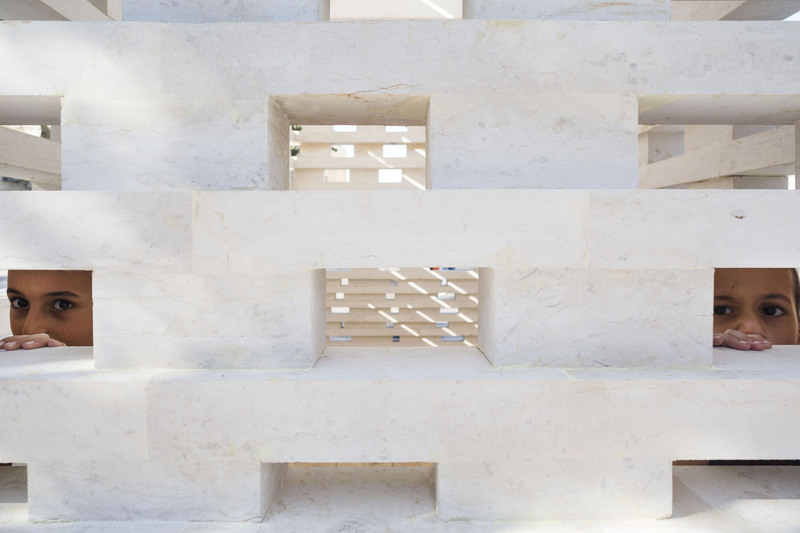 The built pavilion is an experimental formal example of stone use. 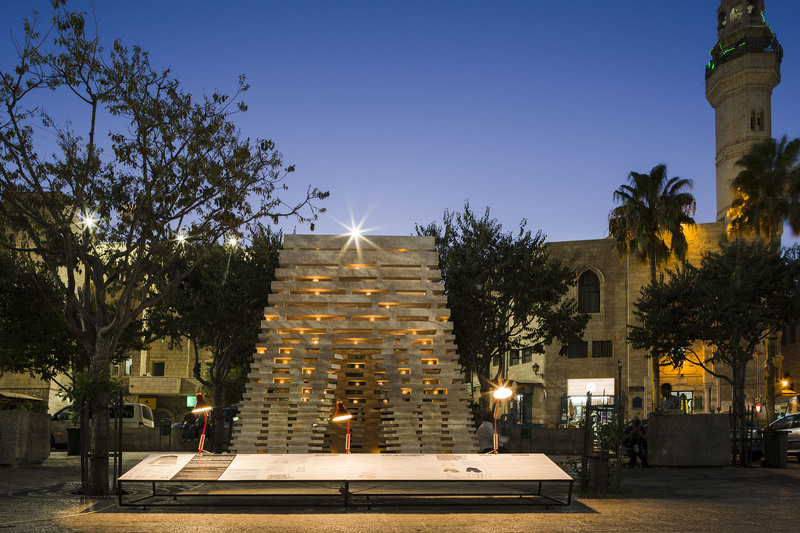 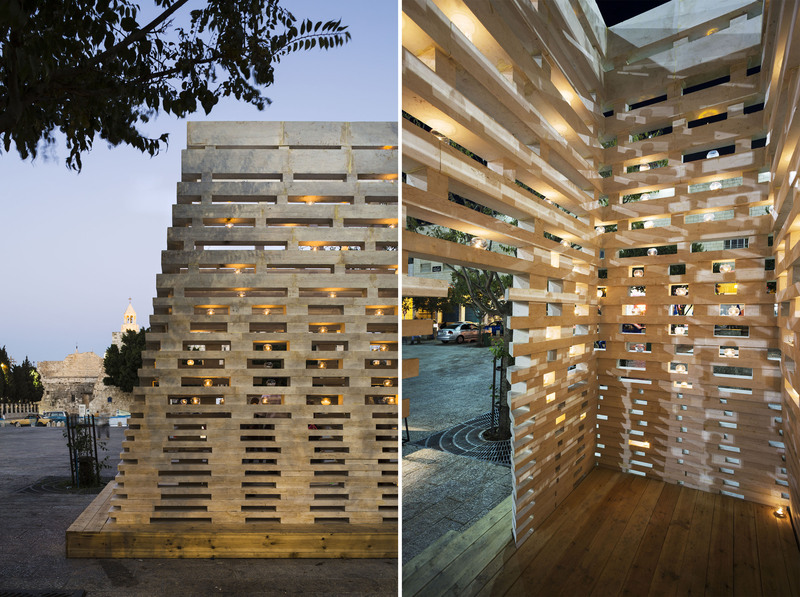 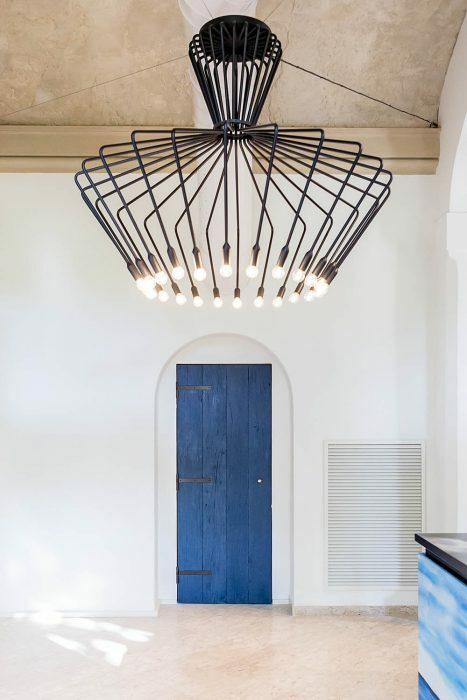 Its geometry has been chosen for its instructive display of structural performance and for its reinterpretation of the traditional Moucharabieh. 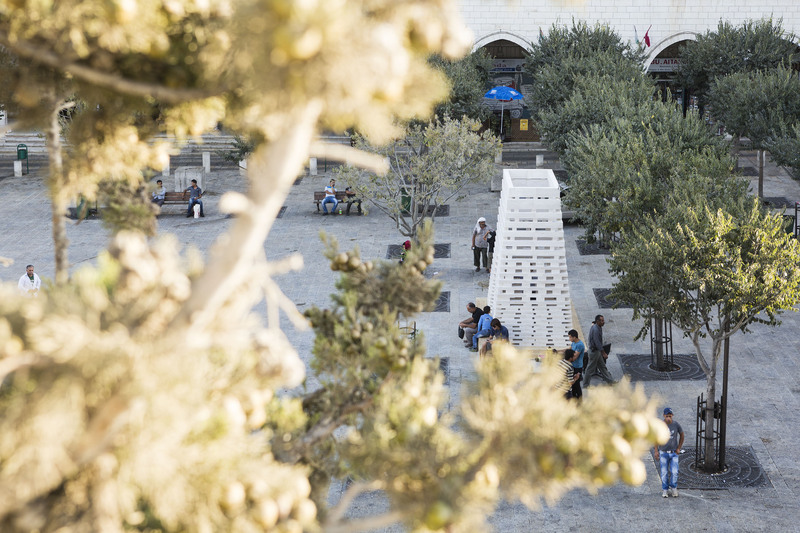 In Palestine, summer days are very hot while evenings are much colder. 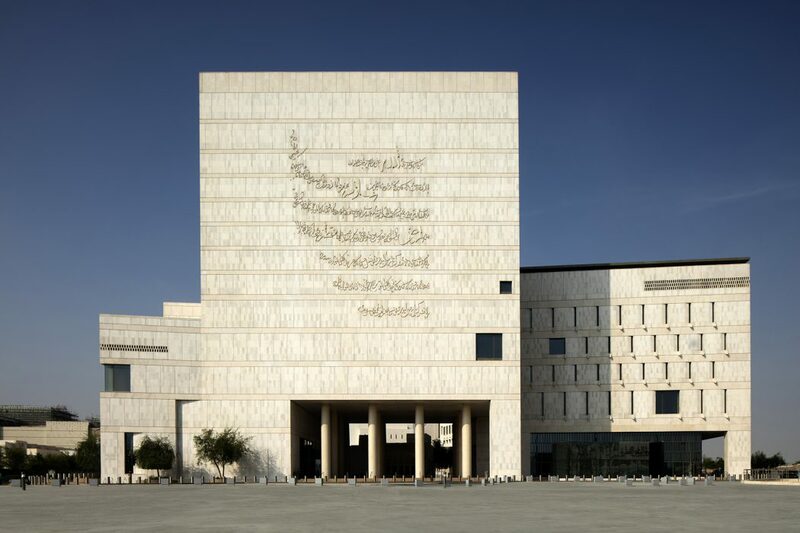 Stone is one ideal material for building Moucharabieh as its thermal properties enable the dew to be stocked in the stone during night time and diffuse freshness during day time. 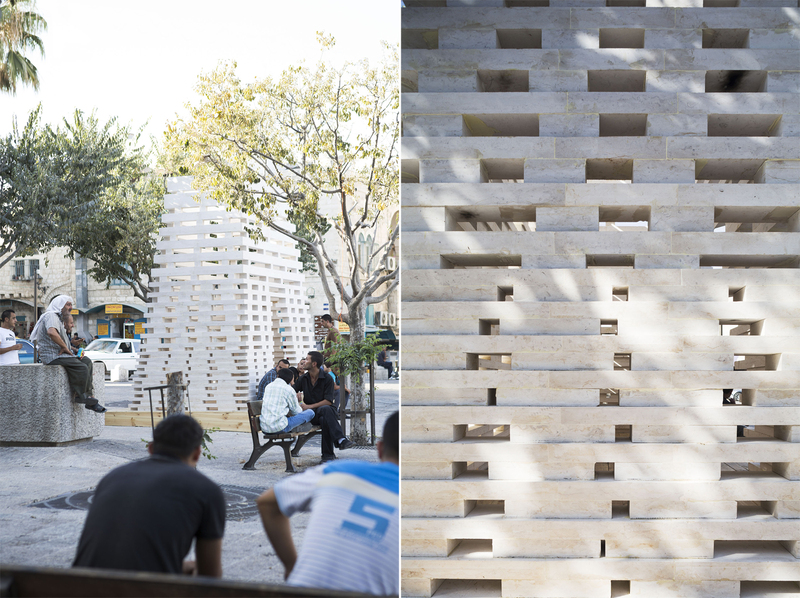 More than just an experimental structural pavilion, the use of stone is an efficient alternative for comfortable natural climate adjustments.